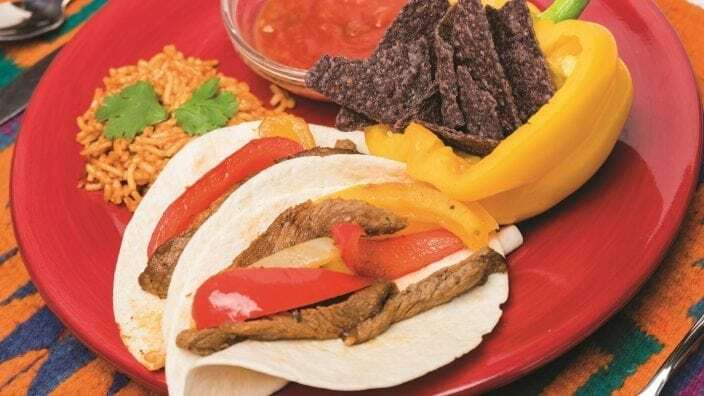 Let the slow cooker do the work to tenderize sirloin or flank steak for family friendly fajitas. Place meat in the bottom of a slow cooker. Combine the rest of the ingredients in large measuring cup or other container with a spout. Pour over the meat and cook on low for three to six hours. Serve on fajita shells with sautéed peppers and onions.